Congratulations to seven CVWG members who have been juried into the Virginia Watercolor Society’s annual exhibition! They are Ginny Adams, Carolyn Beverly, Judi Ely, Etta Harmon Levin, Patrice Reese, Susan Crave Rosen and Carolyn Yager. 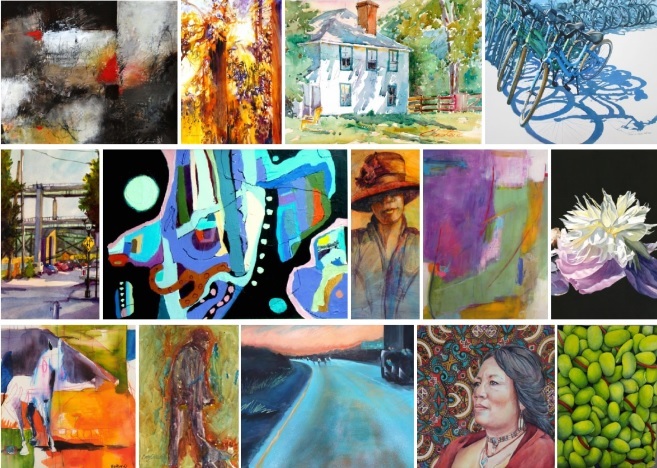 The opening reception is 5:00-7:00 p.m., Friday, May 15 in Harrisonburg. See VWS Opening Invitation for JMU address details. The exhibit will be up until June 26, 2015. This entry was posted on Apr 24, 2015 by miatomaine in Local Events, Member news, Shows.